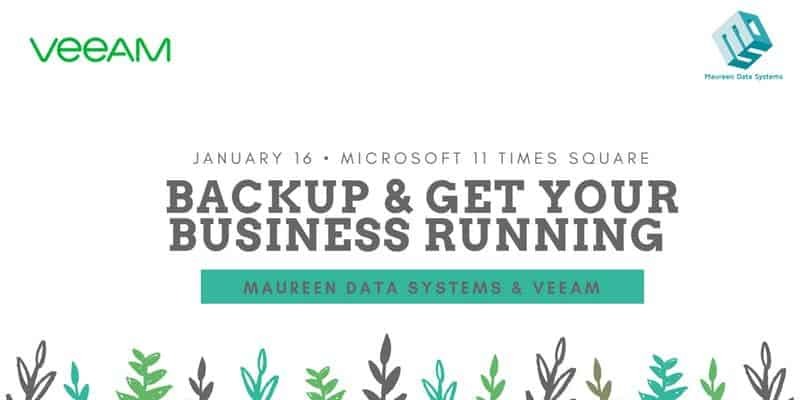 Backup & Get Your Business Running with MDS & Veeam! New year, new business challenges. Get off to a great start by backing up your data! Learn about how Veeam, the number one backup solution for Office 365 can help keep your organization data secure and accessible over lunch with MDS! The latest SurfacePro’s on the market - demos will be set up for you to use in real time! Please note this is an invite-only event and all guests must be pre-registered to attend.